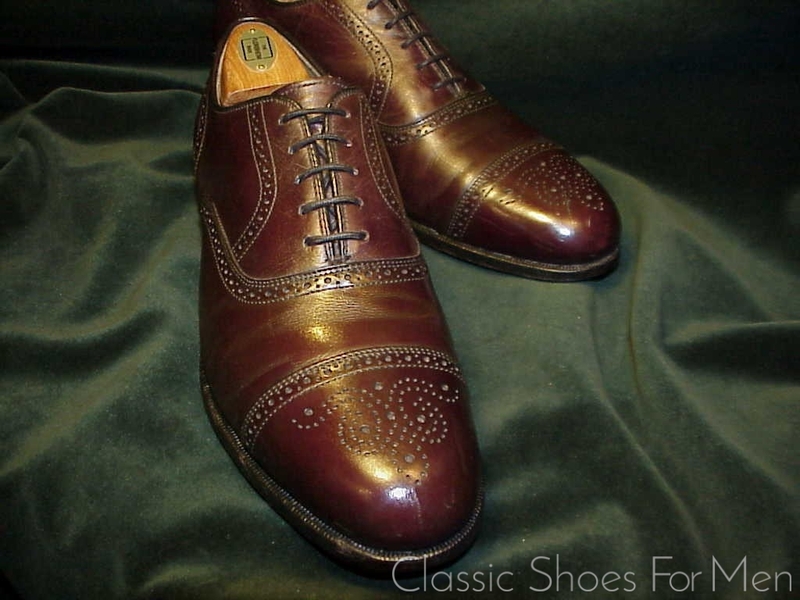 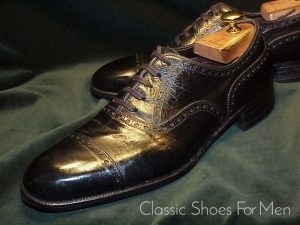 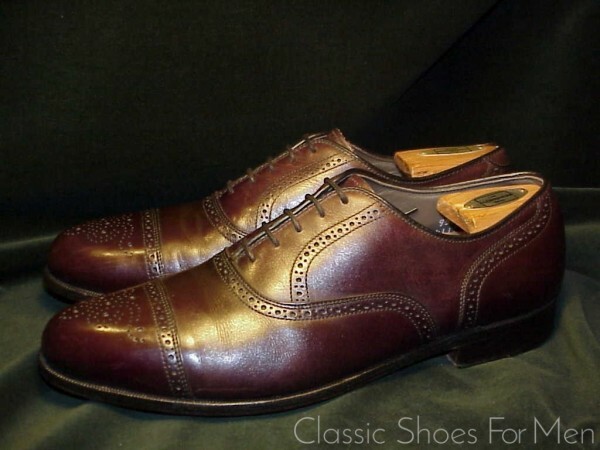 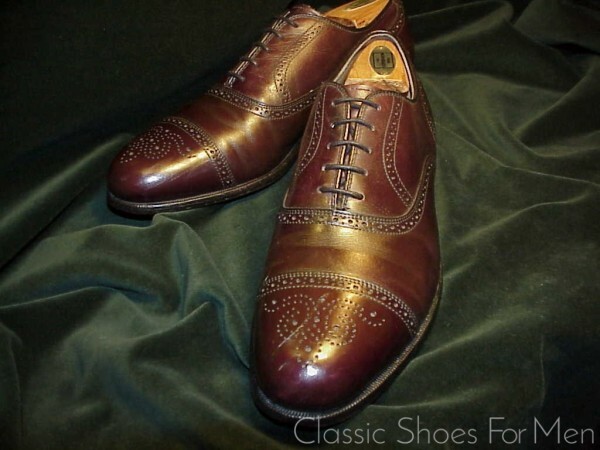 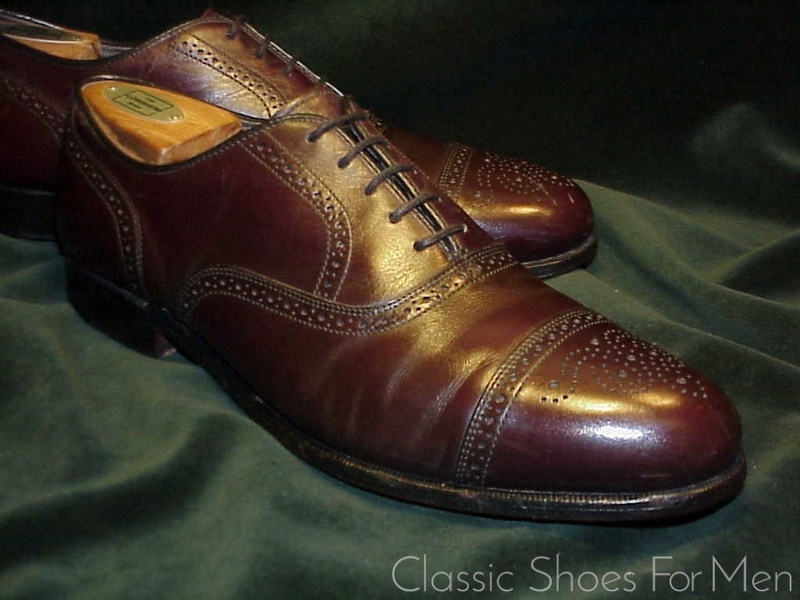 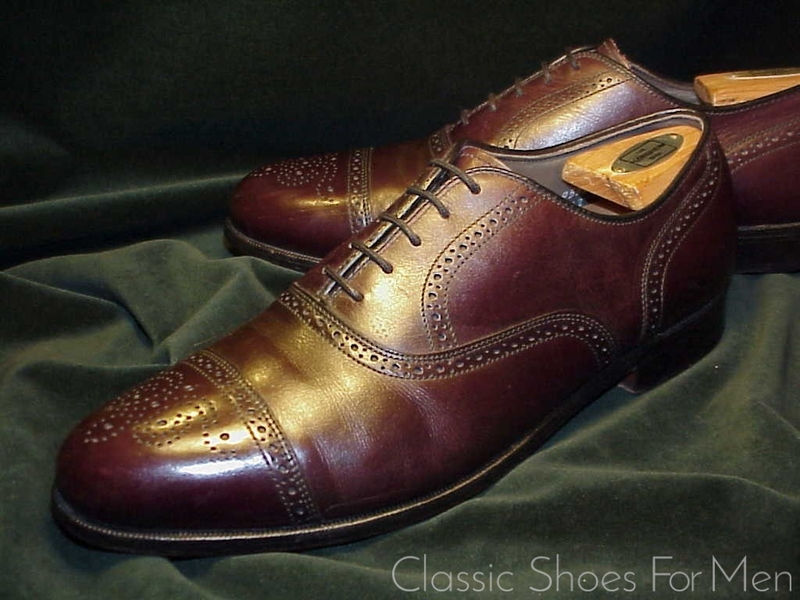 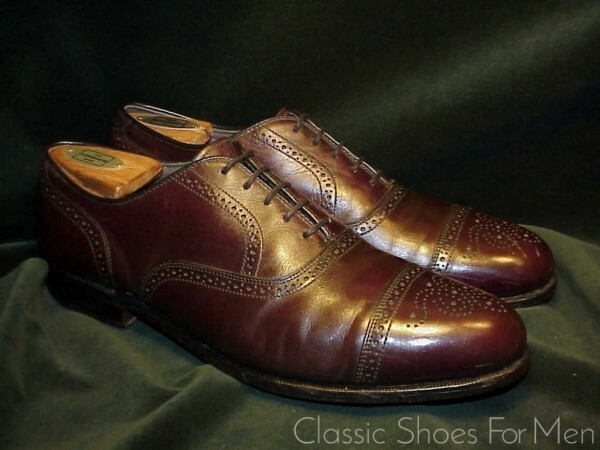 I think we can safely say that this marvelous vintage shoe by the long premier Golf shoemaker in the world, Footjoy, is among the last of its kind. 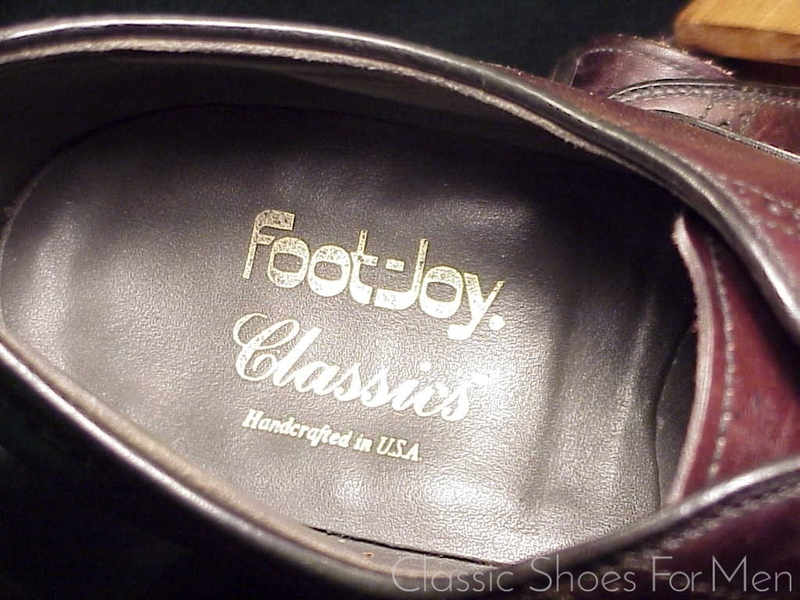 Footjoy’s American workrooms are no more. 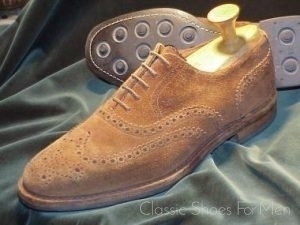 Neither this or any of the special order shoes are to be had, not this nor their stunning lizard golf or street shoes (at $1500 the pair). 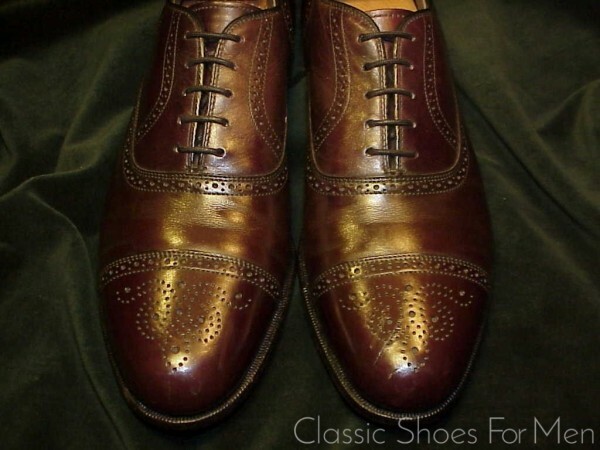 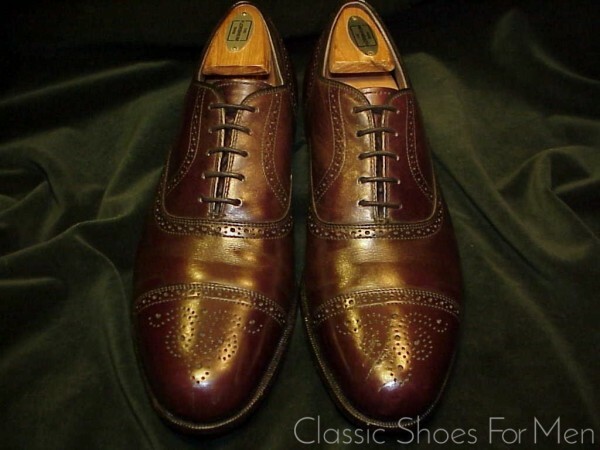 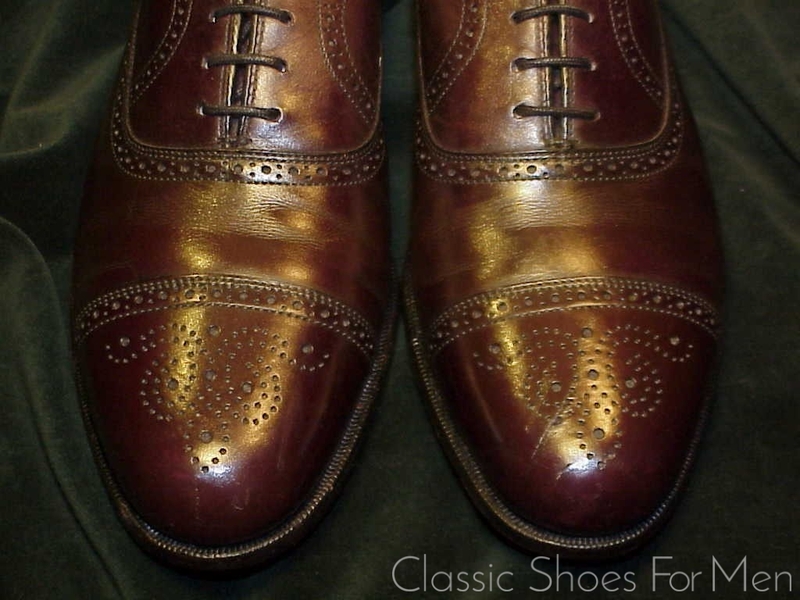 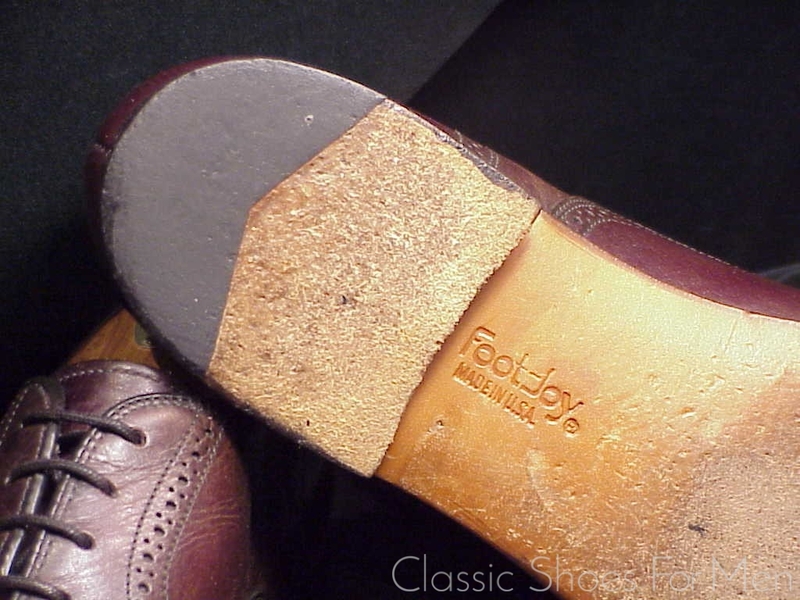 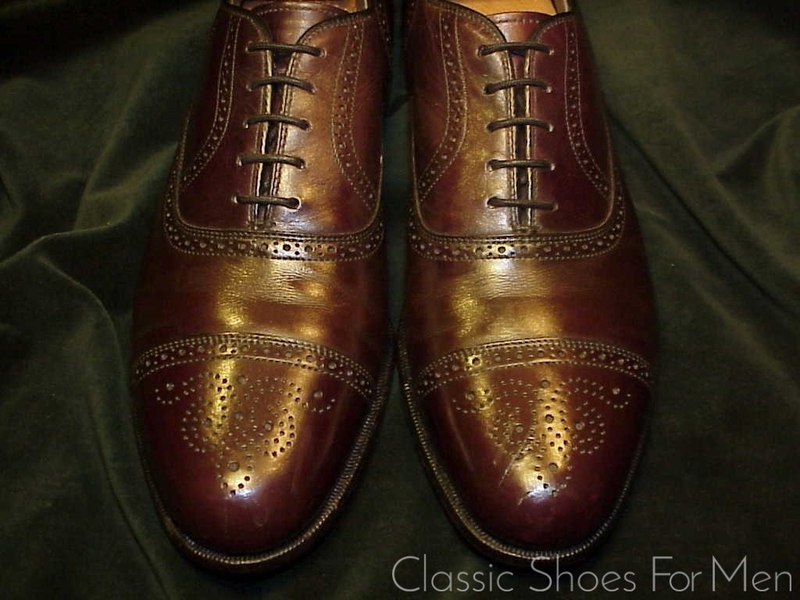 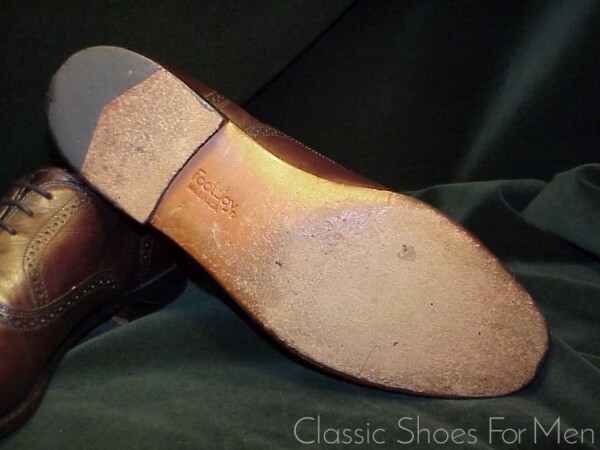 As with all Goodyear welted soles, they can easily be exchanged if ever you are able to wear it out, a doubtful eventuality. 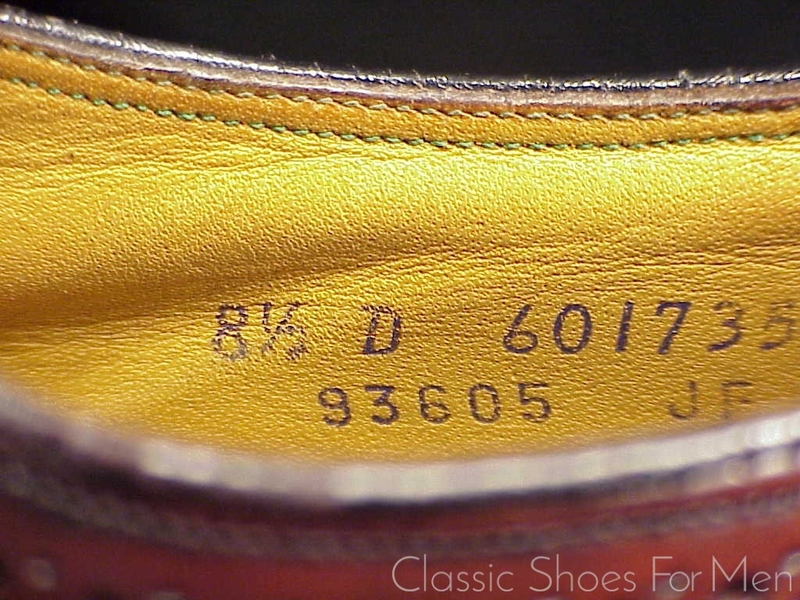 The build quality of Footjoy special order shoes is on a level comparable to the very best ready-mades in the world and the leathers used by Footjoy are equaled by very few. 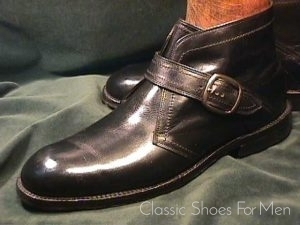 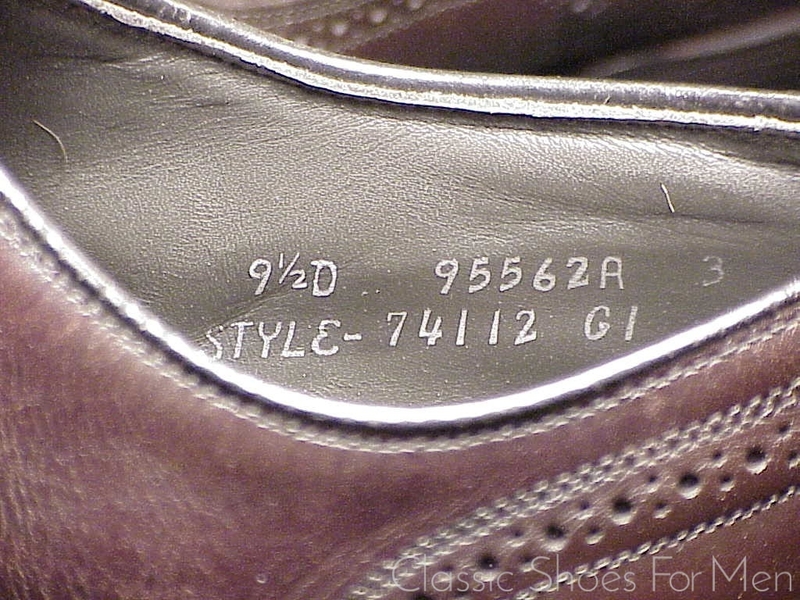 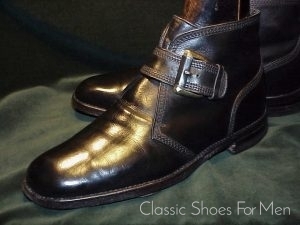 European 42.5D.....US9.5D......UK8.5E, for the medium width foot. 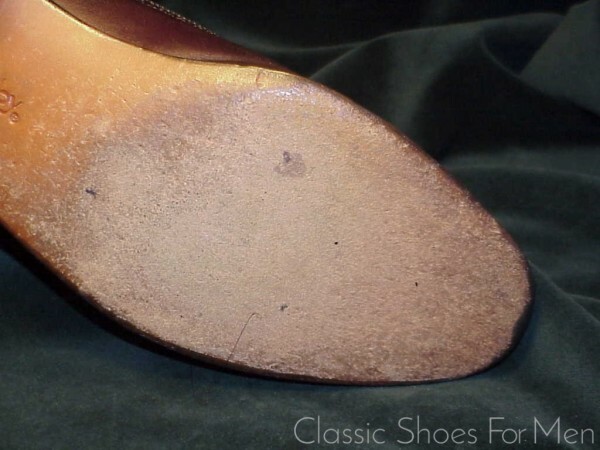 Original soles and heels showing trivial wear. Tops also near new. 42.5D.......9.5D US....8.5EF UK, fuer den mittel-breiten Fuss.